I've bought 3 of these frames for the past 6 years. The reasons why I don't just switch the lens is because I always break them, because I step on them. Nice size, nice fit, really like them. Great looking pair of glasses and more importantly true to fit with previous with Ray-Bans I have purchased. I am very happy with my purchase! 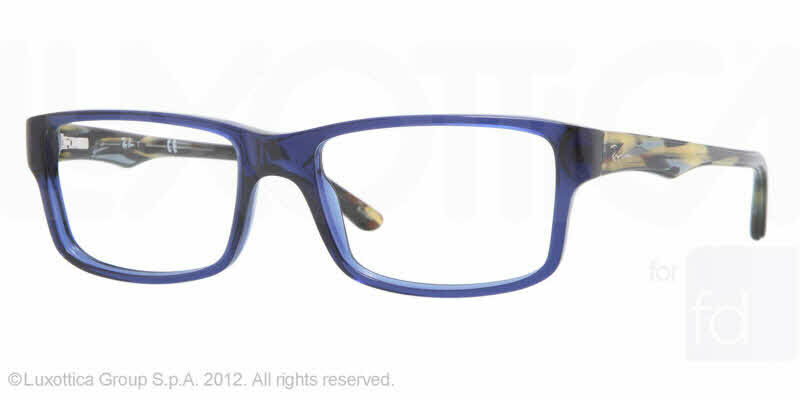 Nice frame, that provides enough lens area to wear progressive lens. Stylish and comfortable. You can't go wrong with Ray-Bans! I ordered my glasses online and I received it on time. I am 100% with the service and for the quality of the product. I will definitely order my next glasses from this company.